Direct remote control lightings and appliances from your smartphone, no hub or router is needed. Provide multiple recurring timers to automate your home, these timers are saved in Yoswit. 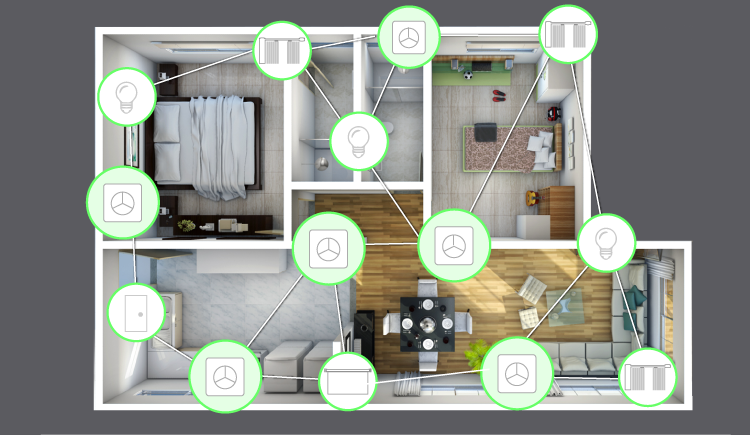 Set a room to control all devices together or set a scene to push the preset mode with a simple click. Sense your arrival and leaving and automate managing lightings, curtains, locks, and appliances. A patented solution to connect your smart home wherever you are, even without wifi connection. Set a password to prevent unpermitted control, simplify the setup with profile sharing. Yoswit uses its proprietary technology to build the mesh-like network. IF This Then That is a web-based service to create chains of simple conditional statements. Yoswit uses its proprietary technology to build the mesh-like network. We are the first company who announce to use TI chips to build the mesh-like network. It’s stable and fast and we get total control of our solution. The more device you have, the longer range can be extended. We support maximum 64 devices within the network. Yoswit is the first company to launch the Mobile-As-Hub idea which allow you to reuse the spare mobile phone or pad as the central gateway for your smart devices. The idea has been patented and the solution is totally free for Yoswit products. 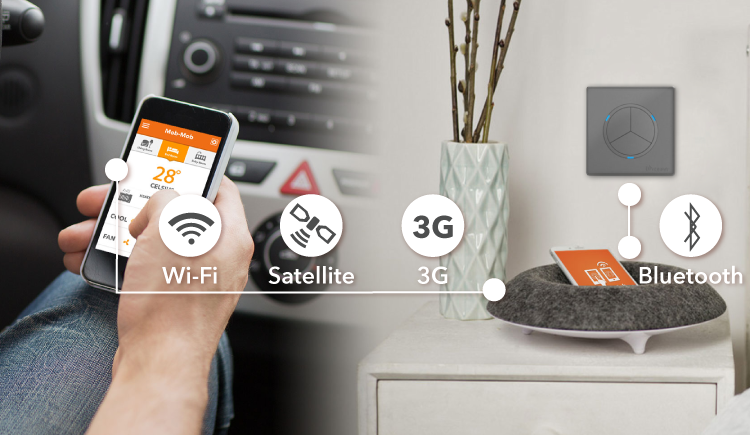 Comparing to the expensive hub or router, the mobile as hub solution is more simple and flexible. * This function works only when the app is switched on. In addition, the performance may be subjected to many factors, including but not limited to server stability, Bluetooth chips and OS version. Yoswit will keep updating the mobile application in order to improve the performance and stability. + The connection speed and performance may be subjected to many factors, including but not limited to distance, Bluetooth chips and OS version. # The product can be operated on smart phones in iOS 7.0 or Android 4.3 with Yoswit app installed. In addition, the smart phone must be in Bluetooth Smart Ready. - The range of a Bluetooth connection is typically given as about 3-20m. x The rating is for purely resistive load. The maximum load will be vary from different load type. For details, please refer to the specification in the user manual.